F-2 controls include: thermostat, 60 min. timer, light switch, and indicator light. Made in U.S.A..
Helo HSC Control Cover, with holes ..
Helo Digi II Control w/Light Switch, Vent Fan Switch,Clock,Operating Time and Remaining time ..
Relay required for heaters 8 KW and over when F-2T or F-2 wall control is used. 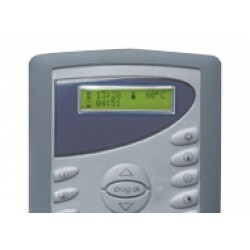 Made in U.S.A. Al..
Digi VII - (60 min) 24/7 Programmable Time and Temperature w/Digital readout. Flush or surface mo..
FX404 Contactor for use with All Club Model 240V PH1 Heaters. Made in U.S.A. All FX Contactor Box..
Sleek, flush mounted design with satin stainless steel face plate. Control has 60 minute timer wi..
FX503 Contactor for use with All Club Model 208V PH3 Heaters. Made in U.S.A. All FX Contactor Box..
Nearly identical to the SC-9 control except there is no nine hour time delay feature (standard 60..
24 Hour Time Clock to be used with F-2 Control and proper contactator. .. Similar to the SC-9 control except in place of the timer is an on/off switch for continuous use. ..
Digital display. Size: 4 1/2"h x 3 5/8"w x 1"d. Surface mount. For use with all PH1 FIN/Club Mode..
Griffin Temperature Sensor Wire (for runs up to 164 feet) ..